Vehicle Logger makes keeping various Vehicle Log Books (car, truck, taxi, motorbike, etc) painless and easy. Distance (Business/Personal) tracking, Expense logging, Maintenance/Insurance/Registration logging, Club Membership reminders, Log Book and Expense Report generation, and more! Australian driver required to keep a logbook for tax purposes? Vehicle Logger will generate log books based on Australian Tax Office (ATO) requirements around the Fringe Benefits Tax (FBT) or Business Activity Statements (BAS), in the format recommended by the ATO. Simply Log, Generate, and Submit! Best km tracker out there. 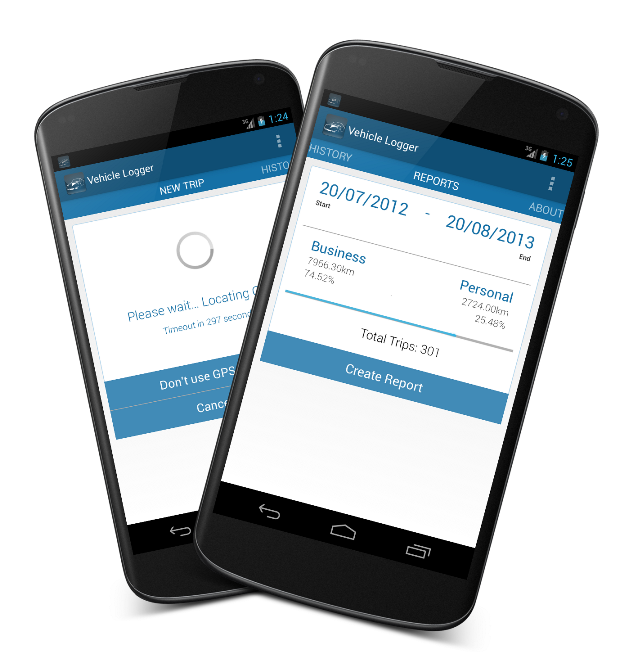 Easily log Trips and Expenses. Google Maps integration lets you easily review previous GPS logged trips. Generate Australian Tax Office (ATO) Log Books for Fringe Benefits Tax (FBT) claims directly from your device. Less taps, quicker trips. Start logging trips in no more than 3 taps! 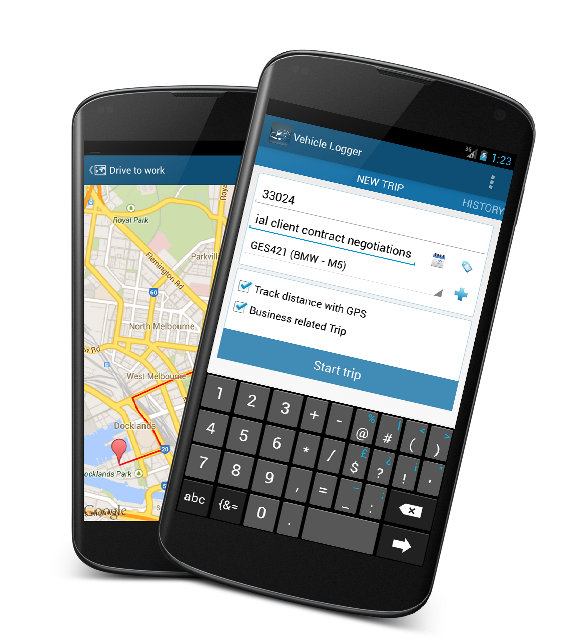 Add new trips manually or using GPS tracking. Generate either PDF or CSV reports, with custom headers and data selections. Instantly share reports through Email/Dropbox/Google Drive/Box/SkyDrive (via Feature additions). Advanced Reporting with distance alerts and checkpoints for Trips or Expenses. Unlock more features for an even better experience. Finally one that works with the user in mind. Simple, easy to use design. Highly recommend. Nothing to add, just does what it says. Finally a logging app that works the way it should! Very intuitive and auto tracks distance using GPS. Exactly what I was looking for!! Simple, intuitive and reliable app. Responsive developer. When i communicated my recommendation he was quick to respond.